A 14-year-old Missouri girl made the shot of her short lifetime. Abby Wilson saw antlers and a brown body in a wooded area. Then, she pulled the trigger. Abby thought it was a deer. But instead, it was its larger cousin, an elk. “She called her dad, who was hunting nearby, and her dad realized it was an elk,” said Tom Strother, who is the regional supervisor for the Missouri Department of Conservation, USA Today reported. A Missouri teen hunter who says she accidentally shot an elk by mistake, is now the target of online bullying. Missouri doesn’t have an elk hunting season. And it’s not clear where the elk came from. “We don’t have any knowledge of free-ranging wild elk” in Boone County, where she shot the elk, or the immediate area, Robert Hemmelgarn, metro media specialist with the Missouri Department of Conservation, told the Columbia Missourian. Shooting a wild elk in Missouri is technically a crime. According to the Columbia Missourian, her case was closed several months later. Details of the case weren’t closed because Abby is a juvenile. The elk meat was tested for safety, and it was taken to a meat processor in Boone County. The Missourian reported that the meat was given to needy families in the area. 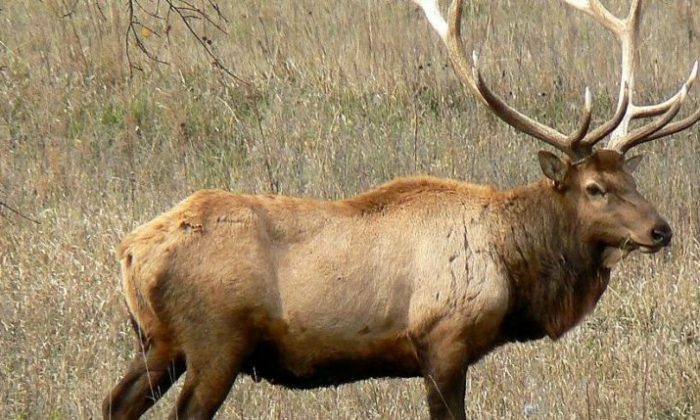 The elk’s antlers are now being used for “education purposes,” said officials.